* Belligerent stupidity perfected: County board bans Invisible Man from school libraries. Invisible Man! * The Nation has some recent student activism highlights. * New York High School Football Player Dies After Head-To-Head Hit. * This is the most Poe’s Law-sy thing I’ve ever read: Give Back? Yes, It’s Time For The 99% To Give Back To The 1%. I honestly can’t tell if the author is using “modest proposal” correctly or not. * Dumbledore’s Army Marches on Warner Bros.
* Baby Boomers Have All the Money Now, and Forever. * Area man brews own beer in gut. * And Maybe Space-Time Really Is Just an Illusion, Lunchtime Doubly So. * Clay Shirky, getting right to the point: “MOOCs are a lightning strike on a rotten tree.” Okay, now we’re getting honest! Let’s have that conversation. * Actor James Cromwell has been arrested for allegedly disrupting a University of Wisconsin Board of Regents meeting where he was protesting animal testing. * Some people like to claim that minorities can’t take jokes; those people have never had to try to take a joke. The frat in question, incidentally, has already managed to be re-suspended. * A brief history of the first eleven Lady Doctors Who. * North Carolina Appoints Pre-School Opponent To Head Pre-School Services. * The Tick That Can Make You a Vegetarian. * It’s not you, it’s quantitative cost-benefit analysis. 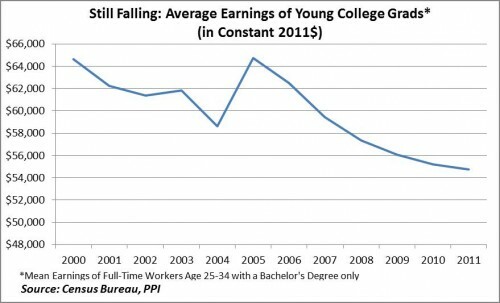 * Average earnings of young college graduates are still falling. 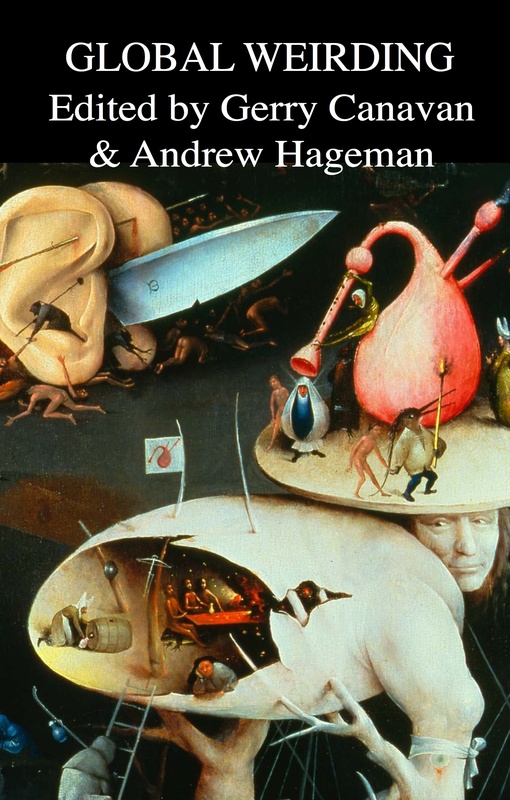 * I’m extremely disappointed to report I haven’t read a single one of the 10 Weirdest Science Fiction Novels That You’ve Never Read. * The federal prison population has spiked 790% since 1980. * The Master of The Master of Disguise has watched the Dana Carvey flop 21 times since November. * Is marijuana the last, best hope for labor unions? * Black writers at DC comics. * Justice League starts from scratch. * Fox News Claims Solar Won’t Work in America Because It’s Not Sunny Like Germany. * And just to see if Tim Wientzen read down this far: when Joyce sketched Bloom. Tagged with academia, actually existing media bias, animal testing animal rights, books, charts, Clay Shirky, college, cost-benefit analysis, Dana Carvey, DC Comics, Doctor Who, drugs, Duke, feminism, Fox News, fraternities, How the University Works, James Cromwell, James Joyce, jokes, Justice League, Leopold Bloom, marijuana, Master of Disguise, McSweeney's, MOOCs, North Carolina, prison-industrial complex, race, science fiction, solar power, ticks, Ulysses, unions, University of Wisconsin, vegetarianism, vegetarians, war on drugs, weird science, Wisconsin, Won't somebody think of the children? The Hubble has discovered a planet comprised primarily of steam. 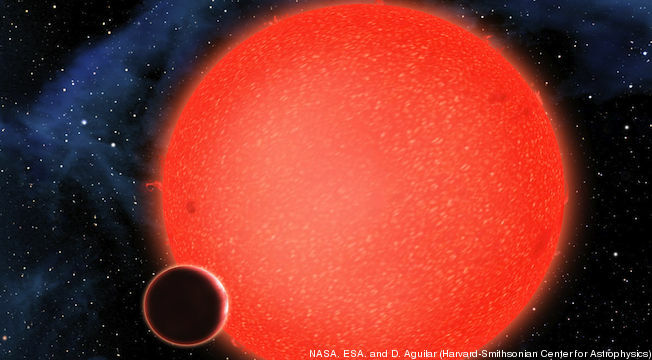 But because the planet is also in a much closer orbit to its star than Earth is to the Sun (Just over a million miles away compared to Earth’s 93 million miles, with a year of just 38 hours), its surface temperature is way hotter: an average 446 degrees fahrenheit, according to estimates from the Harvard-Smithsonian Center. That means that the water on the surface of GJ 1214b is doing weird things besides turning into steam. “The high temperatures and high pressures would form exotic materials like ‘hot ice’ or ‘superfluid water’, substances that are completely alien to our everyday experience,” Berta explained.